DeBarge was being held at a Los Angeles jail at the time of news reports, without bail. According to a local District Attorney’s office, he was convicted in 2011 of possession of a controlled substance in Los Angeles. News reports at other sources reveal DeBarge has been battling drug issues in recent years. In California, the criminal penalties for possessing methamphetamine depend on whether the accused is charged with a misdemeanor or felony offense. If charged as a misdemeanor, criminal penalties include a maximum fine of $1,000 and up to one year in county jail. If the defendant is convicted of felony meth possession, he or she will face punishment which includes a maximum fine of $10,000 and/or up to three years in state prison. 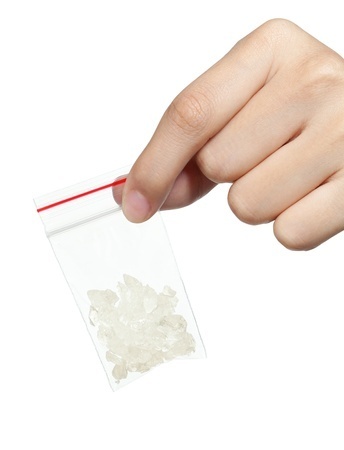 In the state of Michigan, the criminal penalties for methamphetamine possession depend on several factors including how much meth the defendant had in his/her possession. The maximum fine if convicted is $15,000; the defendant may also be sentenced to up to 10 years in prison. Michigan drug crime defense attorneys also know all too well that police and prosecutors may try to turn a possession case into a possession with intent case if an amount of methamphetamine determined to be larger than what would be considered normal for personal use is found. Possession with intent to distribute or deliver charges are far more serious than possession charges, and leave the defendant facing serious consequences which include prison terms of 20 years to life along with fines of between $25,000 and $1 million. An arrest or even being charged with possession of an illegal or narcotic drug does not indicate your guilt. In fact, you are innocent until proven guilty beyond a reasonable doubt. If you or someone you know has been arrested or is under investigation for a crime involving drugs, consult with a capable and aggressive Michigan drug crime defense lawyer immediately. It is vital to take quick action to protect your career, reputation, and freedom.